Match ends, Empoli 0, Sampdoria 1. Second Half ends, Empoli 0, Sampdoria 1. Daniele Croce (Empoli) wins a free kick in the defensive half. Corner, Sampdoria. Conceded by Alberto Pelagotti. Attempt saved. Mirko Eramo (Sampdoria) right footed shot from outside the box is saved in the bottom left corner. Assisted by Ante Budimir. Hand ball by Ante Budimir (Sampdoria). Corner, Empoli. Conceded by Matías Silvestre. Vincent Laurini (Empoli) wins a free kick in the defensive half. Foul by Patrik Schick (Sampdoria). Offside, Empoli. Daniele Croce tries a through ball, but Alberto Gilardino is caught offside. Substitution, Sampdoria. Mirko Eramo replaces Edgar Barreto. Riccardo Saponara (Empoli) is shown the yellow card for a bad foul. Emiliano Viviano (Sampdoria) is shown the yellow card. Alberto Pelagotti (Empoli) is shown the yellow card. Massimo Maccarone (Empoli) is shown the red card. Edgar Barreto (Sampdoria) wins a free kick on the right wing. Attempt saved. Patrik Schick (Sampdoria) right footed shot from the centre of the box is saved in the centre of the goal. Assisted by Ante Budimir. Offside, Empoli. Rade Krunic tries a through ball, but Massimo Maccarone is caught offside. Substitution, Empoli. Alberto Gilardino replaces Marcel Büchel. Attempt saved. Massimo Maccarone (Empoli) right footed shot from outside the box is saved in the centre of the goal. Assisted by Daniele Croce. Uros Cosic (Empoli) wins a free kick in the defensive half. Massimo Maccarone (Empoli) wins a free kick in the defensive half. Foul by Matías Silvestre (Sampdoria). Patrik Schick (Sampdoria) wins a free kick in the defensive half. Dangerous play by Ante Budimir (Sampdoria). Attempt saved. Rade Krunic (Empoli) left footed shot from outside the box is saved in the bottom left corner. Daniel Pavlovic (Sampdoria) is shown the yellow card for a bad foul. Manuel Pucciarelli (Empoli) wins a free kick on the right wing. Foul by Daniel Pavlovic (Sampdoria). Edgar Barreto (Sampdoria) is shown the yellow card for a bad foul. Attempt saved. Rade Krunic (Empoli) right footed shot from the right side of the box is saved in the bottom right corner. Assisted by Riccardo Saponara with a through ball. Patrik Schick (Sampdoria) wins a free kick in the attacking half. Attempt missed. Luis Muriel (Sampdoria) right footed shot from the right side of the box misses to the right. Assisted by Edgar Barreto. Attempt missed. Riccardo Saponara (Empoli) right footed shot from the left side of the box is close, but misses the top right corner. Assisted by Manuel Pasqual. Attempt saved. Fabio Quagliarella (Sampdoria) right footed shot from outside the box is saved in the bottom right corner. Massimo Maccarone (Empoli) wins a free kick on the right wing. Substitution, Sampdoria. Patrik Schick replaces Ricardo Álvarez. Substitution, Empoli. Daniele Croce replaces Raffaele Maiello. Attempt missed. Ricardo Álvarez (Sampdoria) left footed shot from the centre of the box is close, but misses to the left. Attempt missed. Fabio Quagliarella (Sampdoria) right footed shot from more than 35 yards is close, but misses to the right. Attempt missed. Massimo Maccarone (Empoli) header from the centre of the box is high and wide to the right. Assisted by Manuel Pasqual with a cross. Foul by Ricardo Álvarez (Sampdoria). Attempt missed. Manuel Pucciarelli (Empoli) right footed shot from the centre of the box is high and wide to the right. Assisted by Raffaele Maiello with a through ball. Corner, Sampdoria. Conceded by Uros Cosic. Foul by Raffaele Maiello (Empoli). Ricardo Álvarez (Sampdoria) wins a free kick on the right wing. Attempt missed. Edgar Barreto (Sampdoria) header from the centre of the box is high and wide to the left. Assisted by Ricardo Álvarez with a cross following a corner. Corner, Sampdoria. Conceded by Andrea Costa. Attempt blocked. Daniel Pavlovic (Sampdoria) right footed shot from more than 35 yards is blocked. Attempt missed. Luis Muriel (Sampdoria) right footed shot from outside the box is close, but misses to the right. 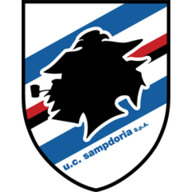 Second Half begins Empoli 0, Sampdoria 1. Substitution, Empoli. Rade Krunic replaces Andrés Tello. First Half ends, Empoli 0, Sampdoria 1. Offside, Empoli. Marcel Büchel tries a through ball, but Andrés Tello is caught offside. Andrea Costa (Empoli) wins a free kick in the defensive half. Foul by Andrés Tello (Empoli). Daniel Pavlovic (Sampdoria) wins a free kick in the defensive half. Goal! 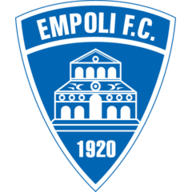 Empoli 0, Sampdoria 1. Luis Muriel (Sampdoria) left footed shot from the left side of the box to the top left corner. Assisted by Ricardo Álvarez. Attempt missed. Massimo Maccarone (Empoli) right footed shot from a difficult angle on the right is high and wide to the right. Assisted by Raffaele Maiello following a set piece situation. Riccardo Saponara (Empoli) wins a free kick in the attacking half. Attempt missed. Massimo Maccarone (Empoli) right footed shot from outside the box is too high. Attempt missed. Ricardo Álvarez (Sampdoria) left footed shot from the right side of the box is close, but misses to the right. Attempt blocked. Luis Muriel (Sampdoria) right footed shot from the right side of the box is blocked. Assisted by Ricardo Álvarez. Attempt blocked. Ricardo Álvarez (Sampdoria) left footed shot from outside the box is blocked. Ricardo Álvarez (Sampdoria) wins a free kick in the attacking half. Corner, Empoli. Conceded by Jacopo Sala. Riccardo Saponara (Empoli) wins a free kick on the left wing. Andrés Tello (Empoli) wins a free kick in the defensive half. Offside, Empoli. Alberto Pelagotti tries a through ball, but Manuel Pucciarelli is caught offside. Alberto Pelagotti (Empoli) wins a free kick in the defensive half. Offside, Empoli. Manuel Pasqual tries a through ball, but Manuel Pucciarelli is caught offside. Attempt saved. Ricardo Álvarez (Sampdoria) right footed shot from outside the box is saved in the bottom left corner. Assisted by Karol Linetty. Offside, Empoli. Andrés Tello tries a through ball, but Massimo Maccarone is caught offside.